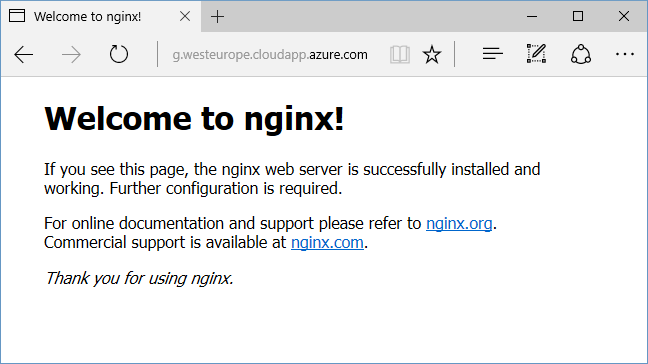 After we successfully installed and configured XFCE on Ubuntu 14.04 and ASP.NET Core 1.0 in part 1 of this tutorial, we have to add NGINX to expose our great Hello World app to the internet. As I mentioned in part I, it’s not advisable to expose Kestrel directly, since it’s not meant to be used like that and has lot of limitation as a front-end web server: handling of multiple host names, authentication, HTTPS offloading, caching, just to mention few. Nginx will receive requests for specific host name (we’ll point subdomain or domain to our Azure VM) and route them to internal Kestrel URL (localhost:5000 in this example). This configuration is called Reverse Proxy. Same thing can be done also with IIS Application Request and Routing module on Windows. If you don’t want to update DNS records, then just edit you OS hosts file and point subdomain.domain.com to IP address of this Azure server! This will forward all requests to internal Kestrel web server that’s listening on the port 5000 (it’s started with dotnet run, right?). 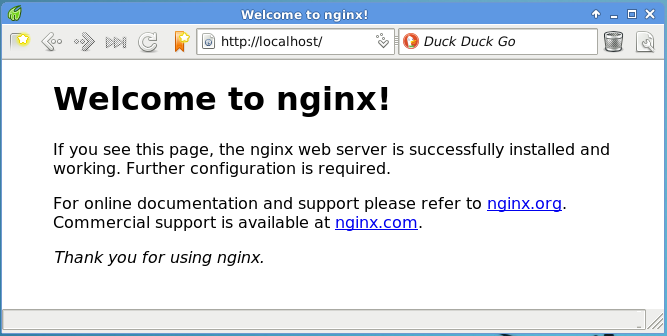 More details on nginx configuration can be found here, and about reverse proxy please visit this link.